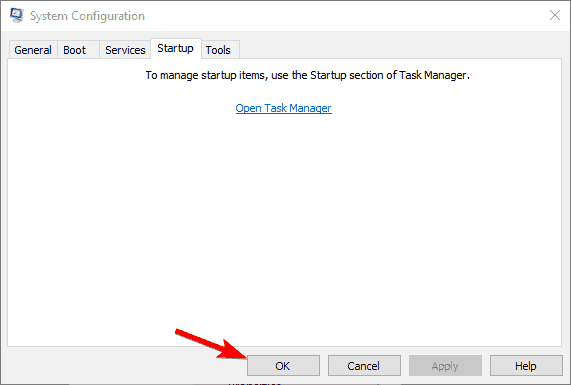 If you want to open Task Manager on your Windows 8, or Windows 8.1 device then you will have to use a combination of three keyboard buttons: ctrl+alt+del. Now, after pressing down and holding these keys the Task Manager window will be displayed on our Windows based device and we will be able to make changes, repair or test our handset and its software system. 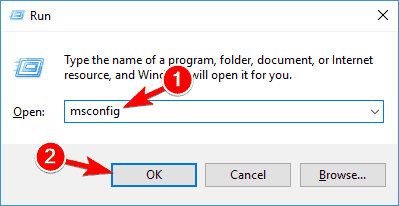 Unfortunately, there are situations in which we can’t use the ctrl alt del sequence in order to launch Task Manager on our Windows 8 or Windows 8.1 device. Why is that happening? Well, ctrl+alt+del might not work after installing third party apps, or after updating the system with an unofficial firmware. These third party apps are making changes on the Registry and by modifying the default values the ctrl+alt+del feature will stop working. Therefore, for fixing this Windows 8, 8.1 problem you will have to access Registry and modify the values by yourselves. But, for further details on this matter, don’t hesitate and check the guidelines from below. Ctrl Alt Del not working frozen – Several users reported that using Ctrl Alt Del shortcut causes their PC to freeze. This can be a big problem, but you should be able to fix it using one of our solutions. Ctrl Alt Del not working on login screen – According to users, this keyboard shortcut isn’t working for them on login screen. 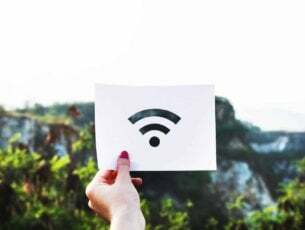 This is usually related to third-party applications and it can be fixed by finding and removing the problematic application. Ctrl Alt Del not working to lock PC, to unlock – Many users use this shortcut to lock or to unlock their PC. However, if the keyboard shortcut isn’t working, you won’t be able to lock or unlock your PC with it. 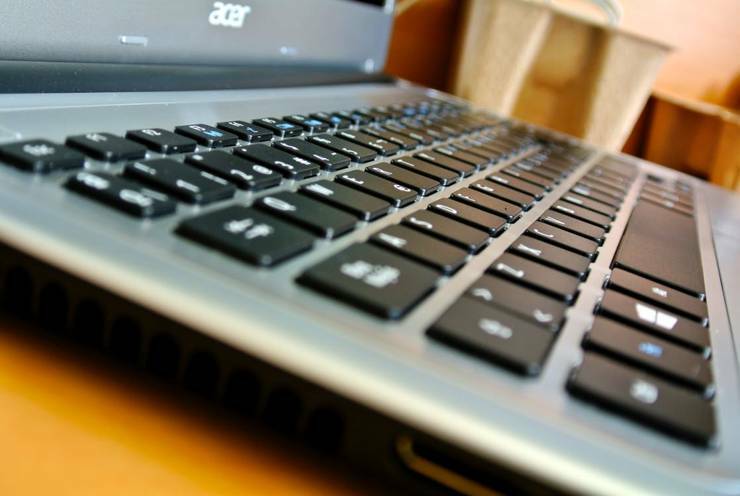 Ctrl Alt Del not working on laptop keyboard – This issue can affect laptop keyboards as well, and if you have this problem, be sure to try using a USB keyboard and check if that solves the problem. Ctrl Alt Del not working virus – Sometimes malware infection can cause Ctrl Alt Del shortcut to stop working. If you have this problem, we strongly advise that you scan your PC with your antivirus tool. Launch the Run window on your Windows 8 device – do this by holding Windows + R buttons at the same time. 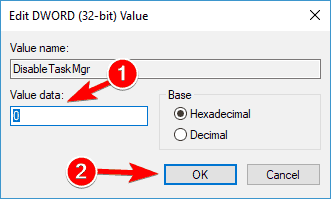 Then, in the input field enter regedit. Press Enter or click OK to start Registry Editor. In the left pane navigate to HKEY_CURRENT_USER\Software\Microsoft\Windows\CurrentVersion\Policies\System. If the mentioned key doesn’t exist, go to HKEY_CURRENT_USER\Software\Microsoft\Windows\CurrentVersion\Policies. Right click Policies and choose New > Key. Enter System as the name of the new key. Once you create System key, navigate to it. Now from the right panel of Registry find DisableTaskMgr and double click it to open its properties. 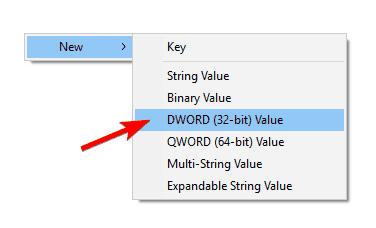 If this DWORD isn’t available, right click the right pane and choose New > DWORD (32-bit) Value to create it. 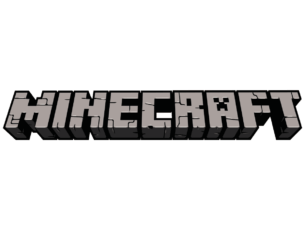 Enter DisableTaskMgr as the name of the DWORD. 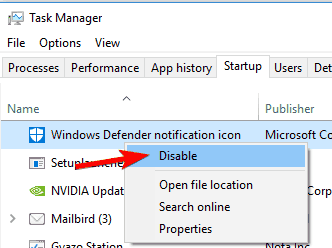 At this point you should know that value 1 means enable this key, thus disable Task Manager, while value 0 means disable this key therefore enable Task Manager. Set the desired Value data and click on OK to save changes. So, set the value you want and then close Registry Editor and reboot your Windows 8 / Windows 8.1 device. Once your PC restarts, try using Ctrl Alt Del shortcut and check if the problem is resolved. Open the Settings app. You can do that simply by pressing Windows Key + I on your keyboard. Now click on Check for updates button. Windows will now check for available updates and download the updates in the background. After downloading the latest updates, the problem should be resolved and the keyboard shortcut should start working again. Several users reported that Ctrl Alt Del isn’t working on their PC due to malware infection. To fix this problem, it’s highly advised to scan your PC for malware. Users reported that they were able to solve this problem by using Malwarebytes or SUPERAntiSpyware. If you want to prevent malware infections in the future, we strongly suggest that you try Bitdefender (World’s No. 1) or Bullguard. Both are great antivirus solutions and they will protect you from all malware infections. If Ctrl Alt Del shortcut doesn’t work, the problem might be your keyboard. To check if your keyboard is the problem, we advise you to connect it to a different PC. In addition, you can try using a different keyboard on your PC and check if it works. Several users reported that they fixed the problem by using a different keyboard. According to them, after using a different keyboard Ctrl Alt Del command started working on their keyboard as well. This is an unusual solution, but users reported that it works, so be sure to try it out. Several users reported problems with Ctrl Alt Del and LogonUI.exe. According to them, the problem was related to Microsoft HPC Pack, and in order to fix it, you need to remove Microsoft HPC Pack from your PC. Once you remove Microsoft HPC Pack from your computer, the problem should be completely resolved and Ctrl Alt Del shortcut should start working again. Keep in mind that you might have to use an uninstaller to remove all files associated with Microsoft HPC Pack. If you want to completely remove this application along with all files associated with it, be sure to try IOBit Uninstaller or Revo Unistaller. 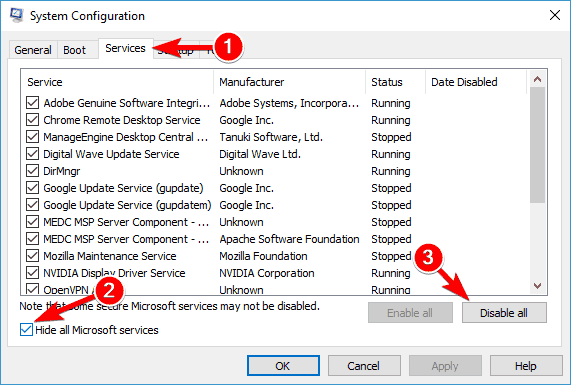 Navigate to Services tab, check Hide all Microsoft services and click on Disable all button. 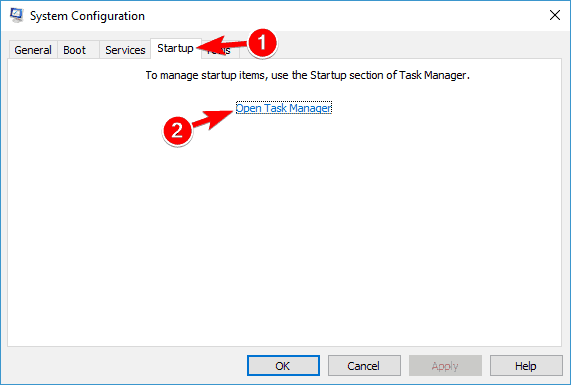 Now navigate to the Startup tab and click on Open Task Manager. List of all startup applications will now appear. Right click the first entry on the list and choose Disable from the menu. 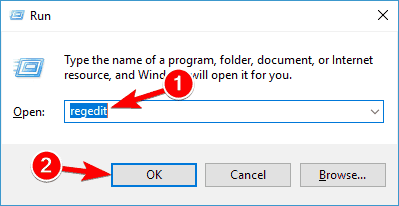 Repeat this step until you disable all startup apps. Now go back to System Configuration window and click on Apply and OK. When asked to restart your PC, choose the option to restart now. Once your PC restarts, check if the problem reappears. If not, you need to enable services and applications one by one until you find the problematic application. 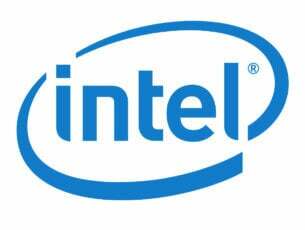 Keep in mind that you need to restart your PC after enabling each application or service in order to apply the changes. Once you find the problematic application, you can remove it from your PC, update it or just keep it disabled. Editor’s Note: This post was originally published in April 2014 and has been since completely revamped and updated for freshness, accuracy, and comprehensiveness.